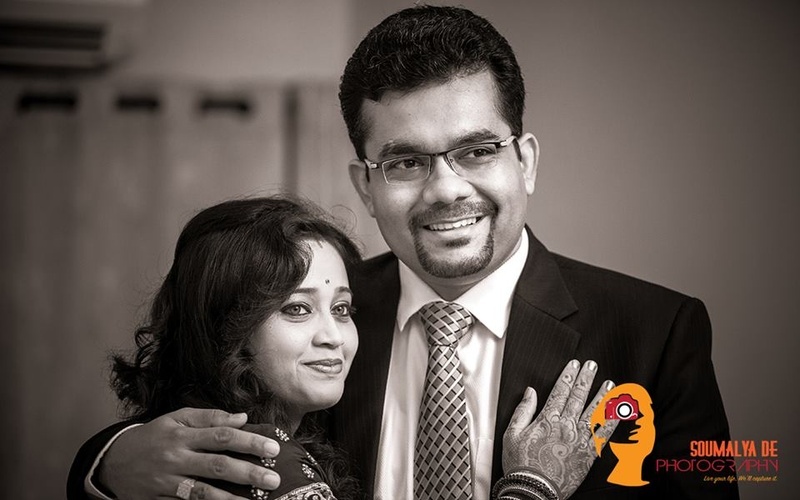 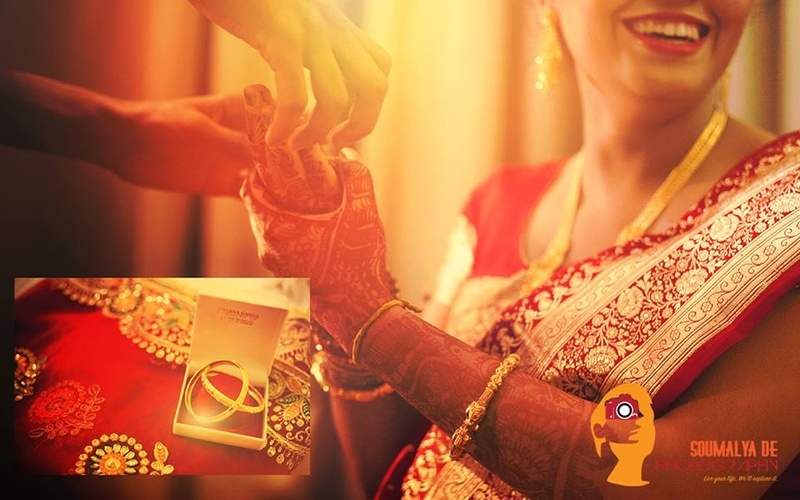 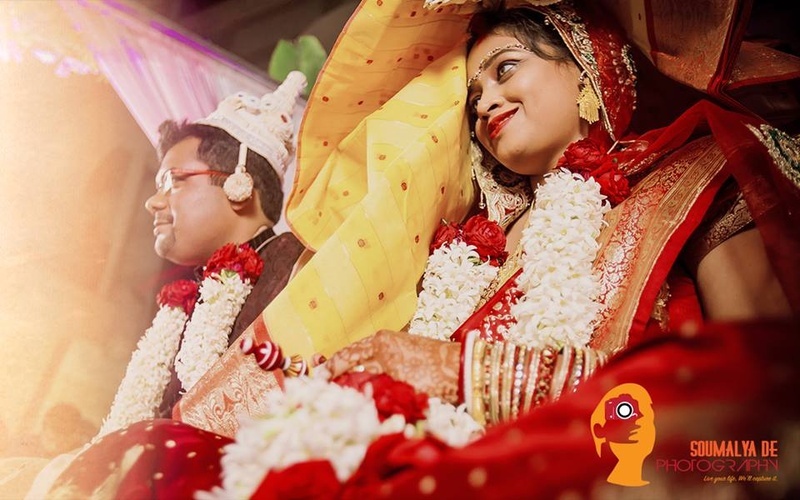 Sharmila and Arnab got married to each other on the 10th of December, 2014 in an intimate and classy Bengali wedding ceremony. 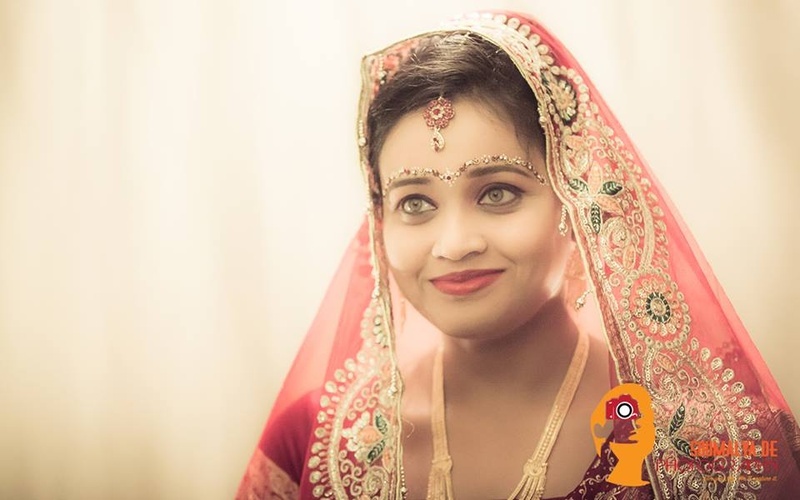 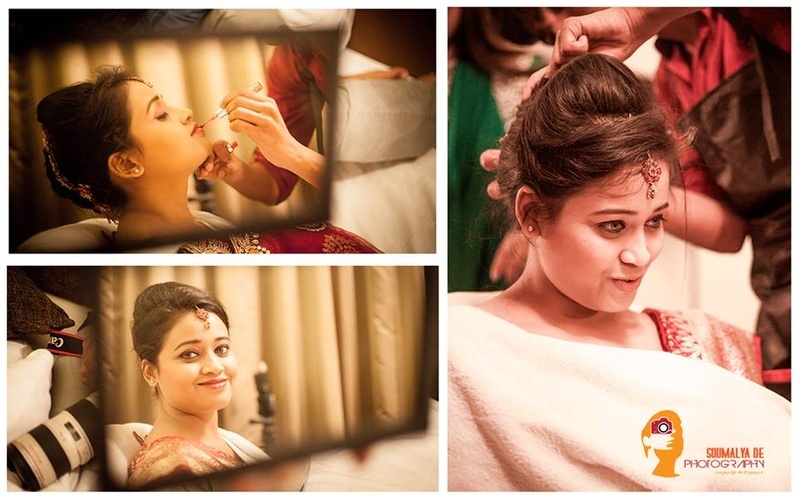 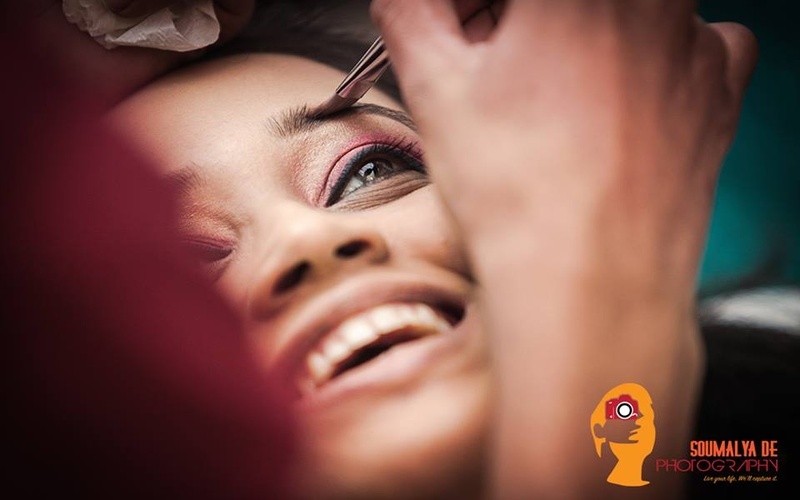 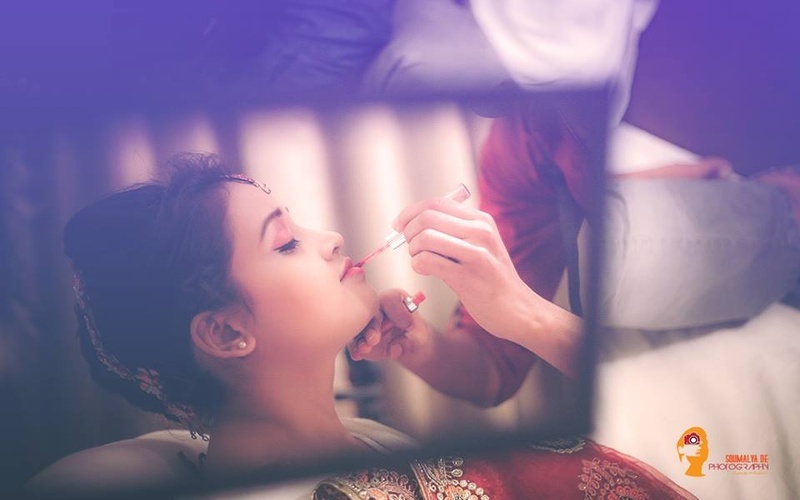 With a heart full of joy and a smile on her face, light-eyed Sharmila enjoyed every bit of her bridal makeover session for the big day. 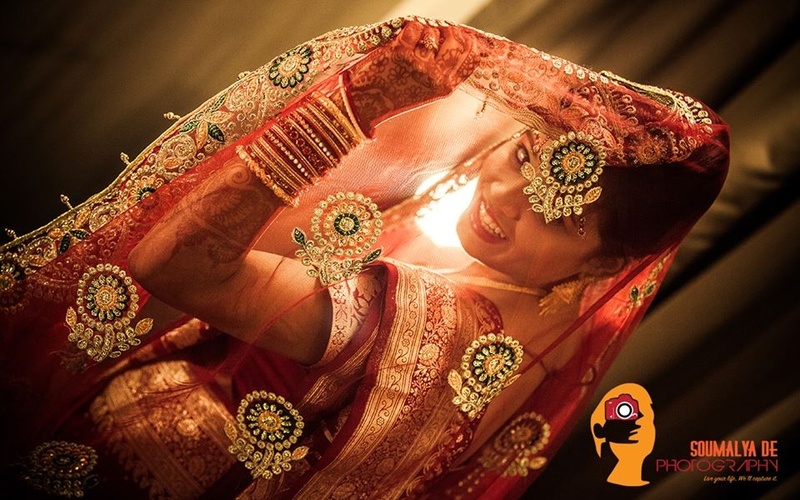 From her beautiful bridal mehendi to her detailed bridal eyebrow bindi, in every frame Sharmila looked simply gorgeous. 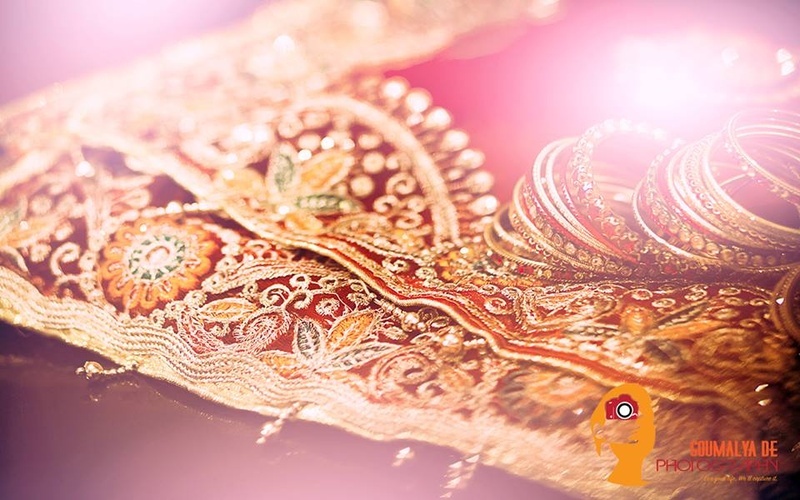 She wore a traditional red and gold banarsi silk saree along with a sequins embroidered net dupatta, featuring floral patch work all over. 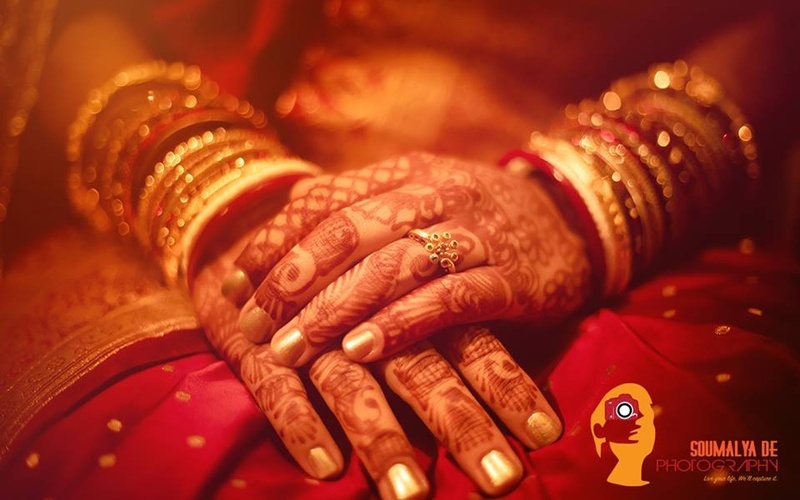 Arnab wore a traditional outfit with a white Topor on his head for the wedding ceremony, and later, a crisp pin stripe suit with a classic white shirt and tie, complimenting Sharmila in every way. 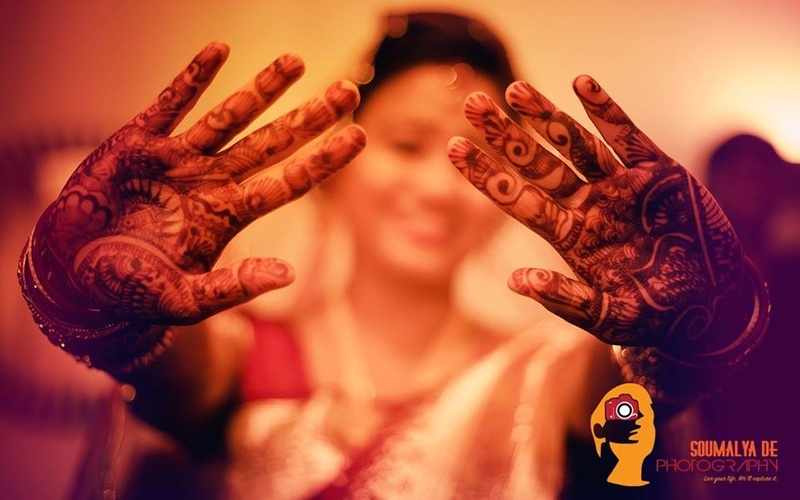 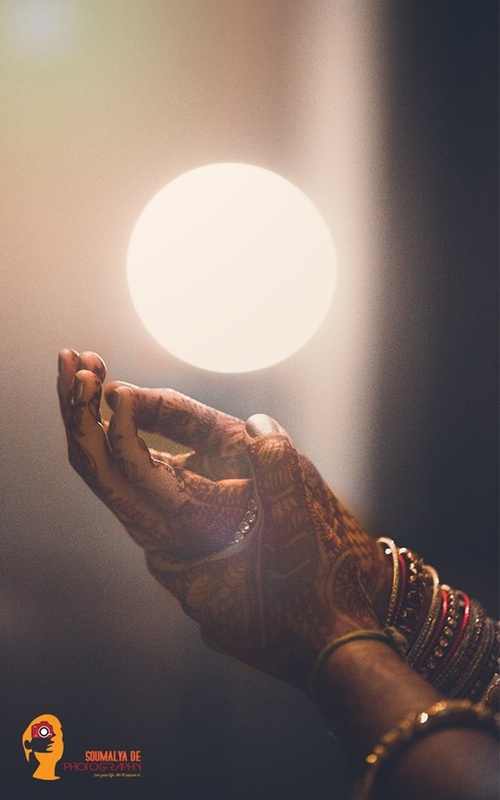 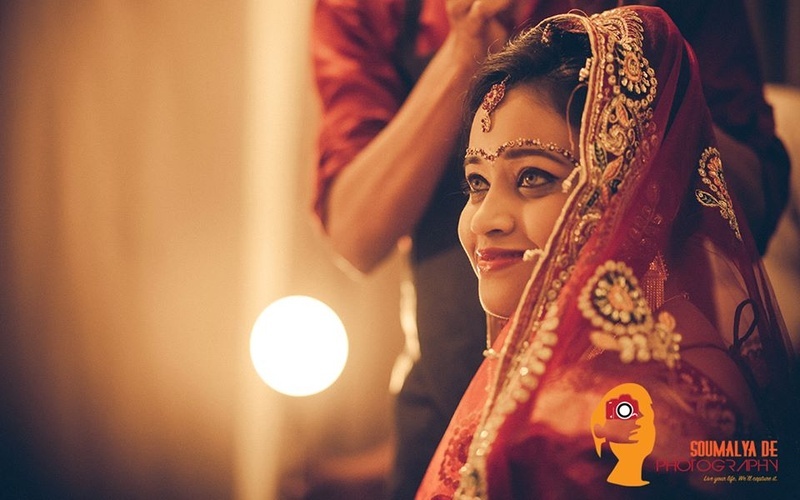 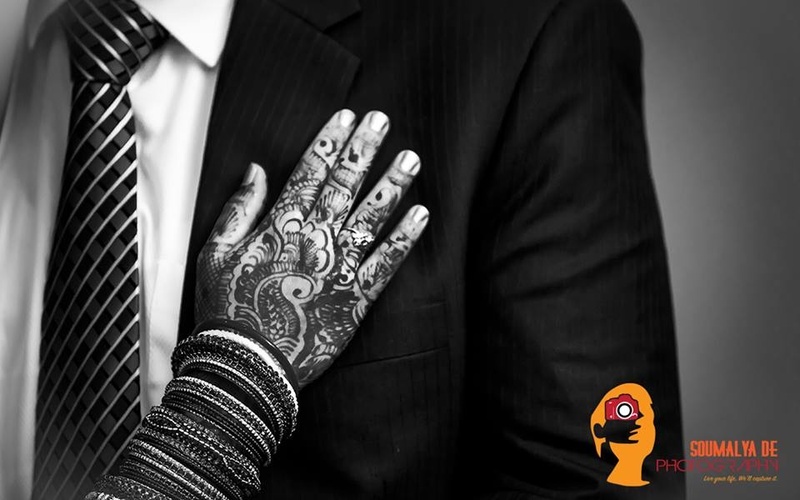 Be it an indoor shot of the bride, the mehendi close-up or capturing the fine details of the bridal outfit, Soumalya De Photography made sure not to miss or slip any precious moment from this gorgeous wedding. 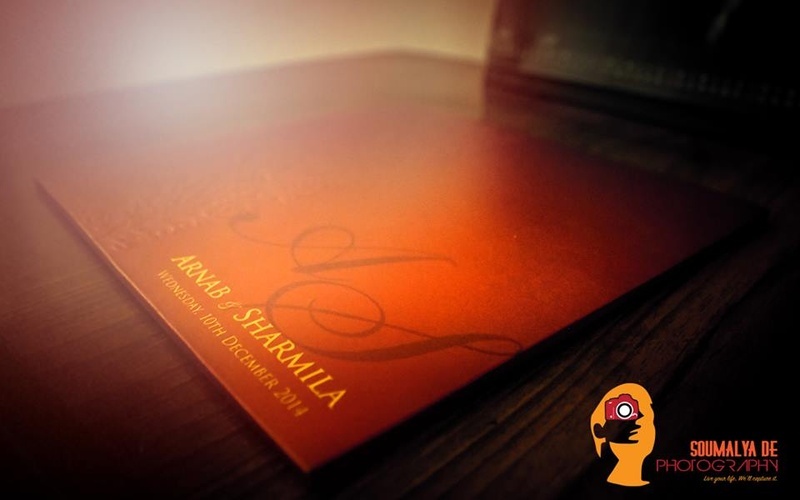 Let’s have a look at some of the pictures right here!